Our Pet of the Week is Marigold! Tiny little Marigold is hoping YOU will give her a forever home! 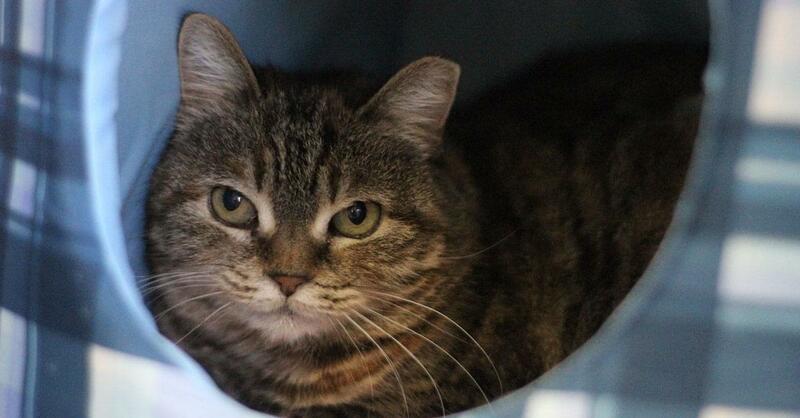 This Valentine’s Day, our total sweetheart is looking for a quiet household where she can soak up your head scratches. Marigold is FIV+, but don’t let that worry you–with regular vet care (like any other pet), she should live a long and healthy life. Looking for someone to spoil who will spoil you right back? Come visit Marigold at Second Chance today! You can also submit an adoption application in her name at SecondChanceNC.org. Marigold doesn’t have an online profile yet, but she is available for visiting any time during hours of operation (11am-5pm M-F and noon-4pm Saturdays).